Home >> Analysis and Features >> Analysis: Spicejet first quarter FY2018 results. Several items of concern. Analysis: Spicejet first quarter FY2018 results. Several items of concern. Spicejet’s revenues grew by 23% against a capacity increase of 18% compared to the same quarter last fiscal year. This was driven by a combination of rising fares and load factors. Spicejet continued to be very aggressive in sales during the quarter reflected in the high load factor numbers. The offset aggressive early fares, the industry has resorted to sharper fare increases closer to the travel date. Spicejet is no different and increased the average fare per passenger by nine per cent to Rs. 3,943. India’s largest domestic carrier, IndiGo, averaged Rs 4,626 per passenger. Load factors were a healthy 93.4%. Total costs as compared to the same period last year grew by 23%, outstripping capacity growth of 18%. This naturally reflects on profitability. Other than lease rentals all of the other line item costs registered an increase. Maintenance costs grew by 52%. Most airlines use the lean season of the second (AMJ) and fourth (JFM) quarters to focus on maintenance activities, to ensure full fleet availability for the peak first and third quarters. Hence the 52% increase is cause for concern. Spicejet’s Cost per available seat kilometer (CASK) was Rs 3.57. IndiGo is at Rs 3.08. 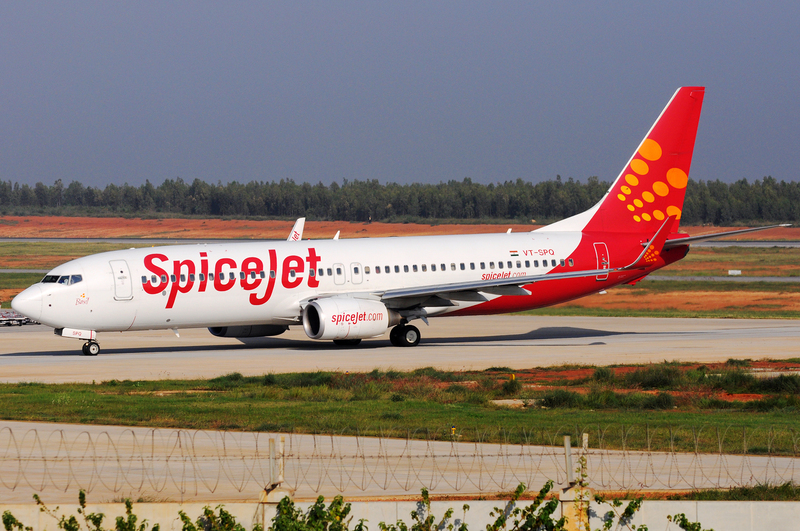 Expect Spicejet to sharply focus on costs going forward. SpiceJet was consistently ranked second in on-time performance, a key influencer for the Indian passenger. Interestingly no mention was made of this in the results. Load factors were a healthy 93.4% and Spicejet had fewer complaints than Indigo for the quarter. Aircraft utilisation was fairly low at approximately nine hours per aircraft averaged between the Bombardier Q400 and Boeing 737 fleets. We estimate the 737 utilisation will be higher at around 10 to 11 hours. Expect the airline to increase utilisation to drive revenues. SpiceJet’s fleet for the quarter was 55 aircraft, consisting of 35 Boeing 737s and 20 Q400s. This is up five aircraft compared to the same quarter last fiscal year. The airline indicated that it expects to take six additional 737s and two more Q400s by March 31, 2018, the end of the fiscal year. While this is good fleet growth, its lags competitors like Indigo and Go Air who are scheduled to add far more aircraft. SpiceJet will be challenged holding on to its 13% market-share. 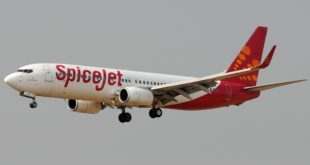 The quarter also saw the courts deciding SpiceJet must deposit Rs 579 crores in the on-going share transfer dispute with the former promoters. Spicejet has furnished the required Rs 329 crore bank guaranty. The cash component of Rs 250 crores is yet to be deposited. 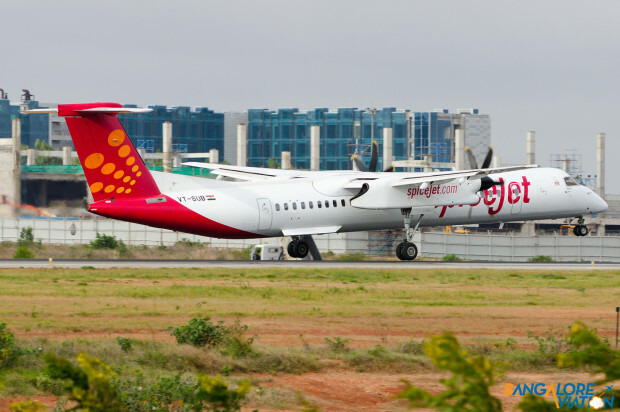 Industry sources indicate that the timing and amount of the order may pose a challenge as Spicejet is actively working to secure funding and sale and leasebacks on its incoming orders. Any additional information would be pre-mature to report at this stage. Spicejet continues to be very aggressive on the sales front, often leading discount offers and sales and commissions. Industry sources indicate such tactics are both strategic i.e. focus on load factors and brand awareness, and this may also be for improving immediate cash-flow. The quarter also saw the launch of Spicejet’s regional operations on sectors such as Mumbai – Kandla and Mumbai – Porbandar. While route performance details are unknown at this time, it provides Spicejet two additional slots at Mumbai, the most slot-constrained airport in India. Genius. 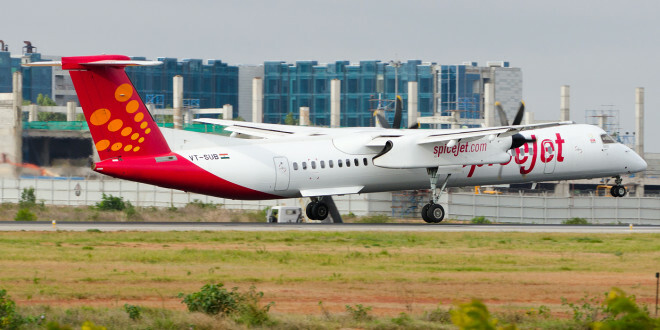 Spicejet also launched flights to Surat and Patna and connected six cities to both these stations. This follows Indigo’s playbook where the airline offers connectivity across the country to a station. Apart from the connectivity benefits for passengers, the airline gains by dividing its fixed station costs across more flights. We expect SpiceJet will focus more on international and regional expansion in the coming months. Increased operations to the Gulf are likely. Spicejet’s personnel structure continues to be a source of debate. The Chairman and promoter is extremely involved in day to day operations and the airline still lacks both a CEO and a COO. Given the increased competition in the market and complexity in the business (G.S.T., bi-laterals, yield pressures, DGCA audit, Adhaar linkages etc.) one marvels how the current promoter is able to allocate enough time. At some point in the near future a strong ‘number two’ person will be required. On front-line levels, attrition now is controllable but pilot hiring may pose a challenge (both costs and quantity) given the increased hiring by all competitors and rising pay rates. The recent decision of the country’s regulator the Directorate General of Civil Aviation to double notice periods for pilots will provide some relief, though the effect on morale remains to be seen. SpiceJet also now has also forayed into retail and cargo which at some point may require their own division heads to drive business forward. While the first quarter performance was strong, the rising costs, and the cash position, may pose a challenge and will have to be addressed before they become risks. As usual we invite readers to share their thoughts via comments. The above analysis has been performed by an external industry professional as the Editor owns shares in Spicejet.